Eureka established in 1920, one of the oldest grinder companies in world. Collage with Italian company gives great feel to you kitchen. 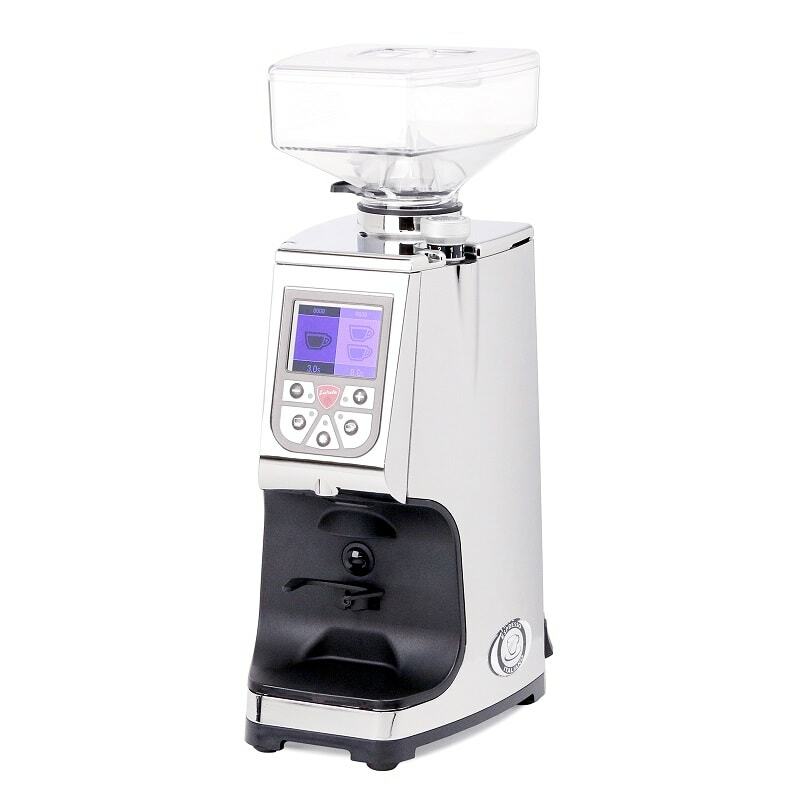 Eureka ATOM Grinder is one of the biggest hit in the market. It is endowed with 450W motor power and 60 mm burrs in small footprint. It is one of the quietest grinder among its competitor. It is packed neatly with programmable settings, doserless and step-less adjustment. 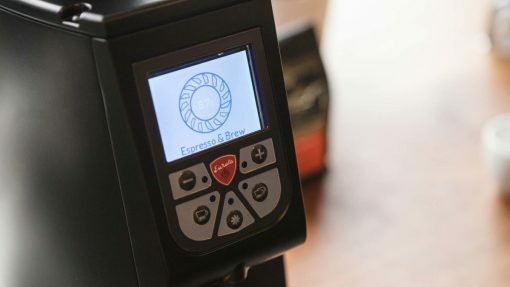 LCD display makes it clearer whether it is manual grind mode or timed espresso mode. 60mm Flat Burrs – Large burrs make short work of pulverizing beans into a uniform distribution. Sound Insulation – A metal case and a design dedicated to quiet motor and burr sounds make the Atom a great choice for quiet spaces. 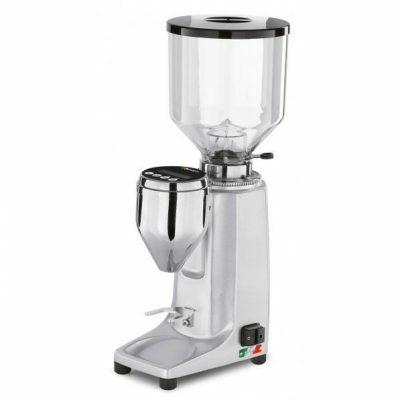 Timer Based Dosing – Set grind times for both single or double shots. 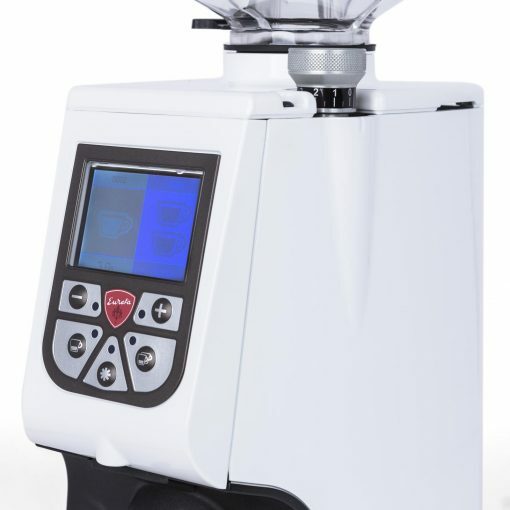 Removable Bean Hopper – Boxy like the rest of the grinder, the Atom’s hopper is easily removable for cleaning and maintenance. Manual Pulse Grind – Grind on demand with a dedicated pulse brew button or the portafilter button. Portafilter or Basket – The Atom comes with a dedicated grounds bin for drip or pour over preparations. Stepless Adjustment – With nearly infinite burr settings, the Atom offers fine control over grind size. Digital Screen – An easy-to-read digital screen makes set up and control even easier. Removable Top Burr – The top burr of the Atom is easily removable for cleaning and maintenance. 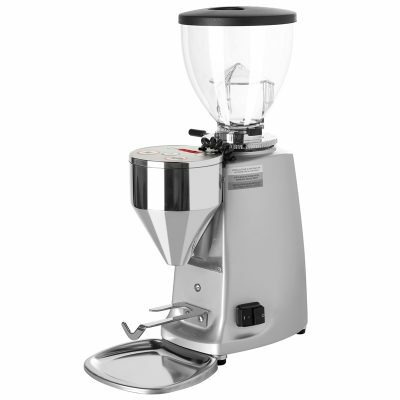 Bottom Burr Adjust – Adjustments happen at the lower burr, so your grind setting will be saved after cleaning. 60mm Flat Burrs: Large burrs make short work of pulverizing beans into a uniform distribution. 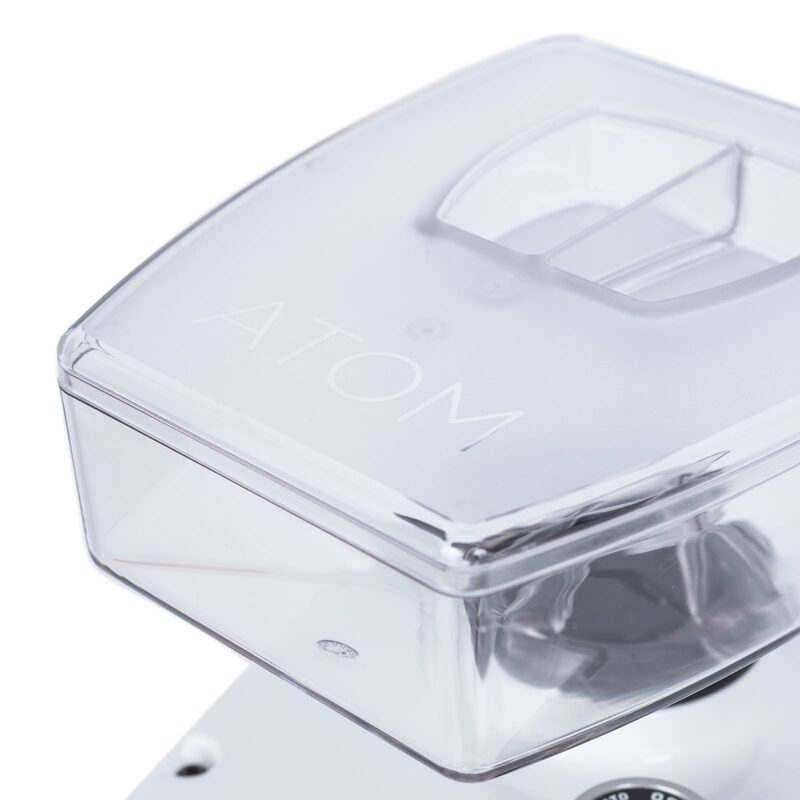 Sound Insulation: A metal case and a design dedicated to quiet motor and burr sounds make the Atom a great choice for quiet spaces. 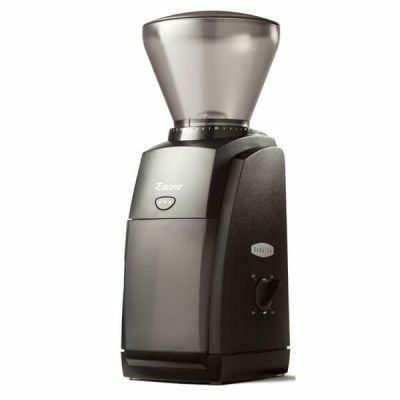 Timer Based Dosing: Set grind times for both single or double shots. Removable Bean Hopper: Boxy like the rest of the grinder the Atom’s hopper is easily removable for cleaning and maintenance. Digital Screen: An easy-to-read digital screen makes set up and control even easier. 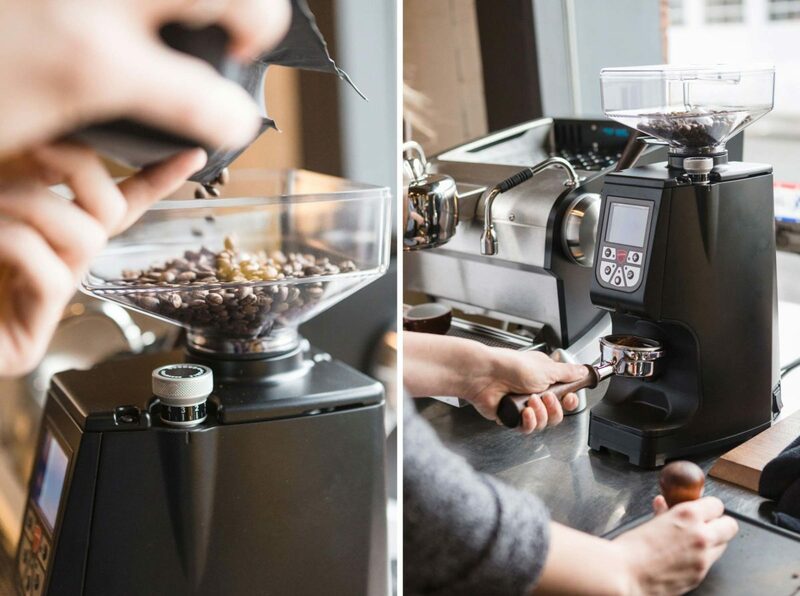 Manual Pulse Grind: Grind on demand with a dedicated pulse brew button or the portafilter button. 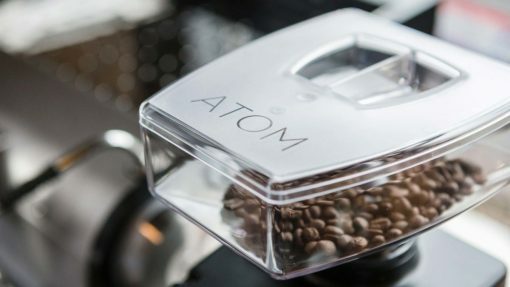 Portafilter or Basket: The Atom comes with a dedicated grounds bin for drip or pour over preparations. Stepless Adjustment: With nearly infinite burr settings the Atom offers fine control over grind size. 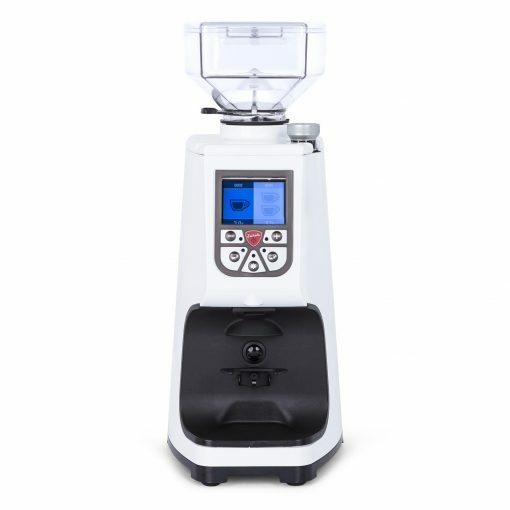 Removable Top Burr: The top burr of the Atom is easily removable for cleaning and maintenance.